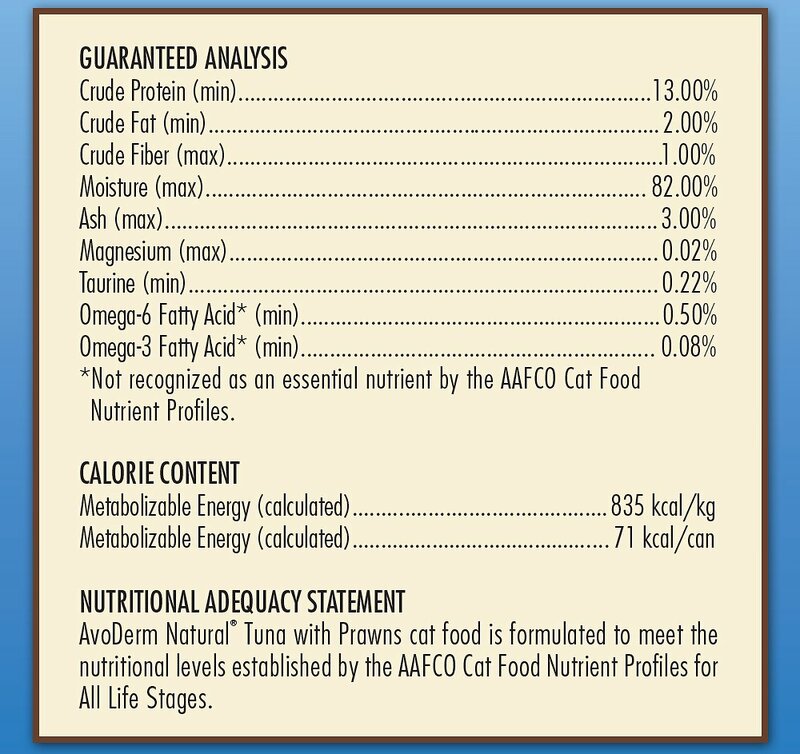 Nourish your kitty’s wild side with the AvoDerm Natural Wild by Nature Grain-Free Tuna with Prawns Canned Cat Food. The recipe starts with tuna and tuna broth as the first ingredients so it’s got plenty of protein for your little carnivore. 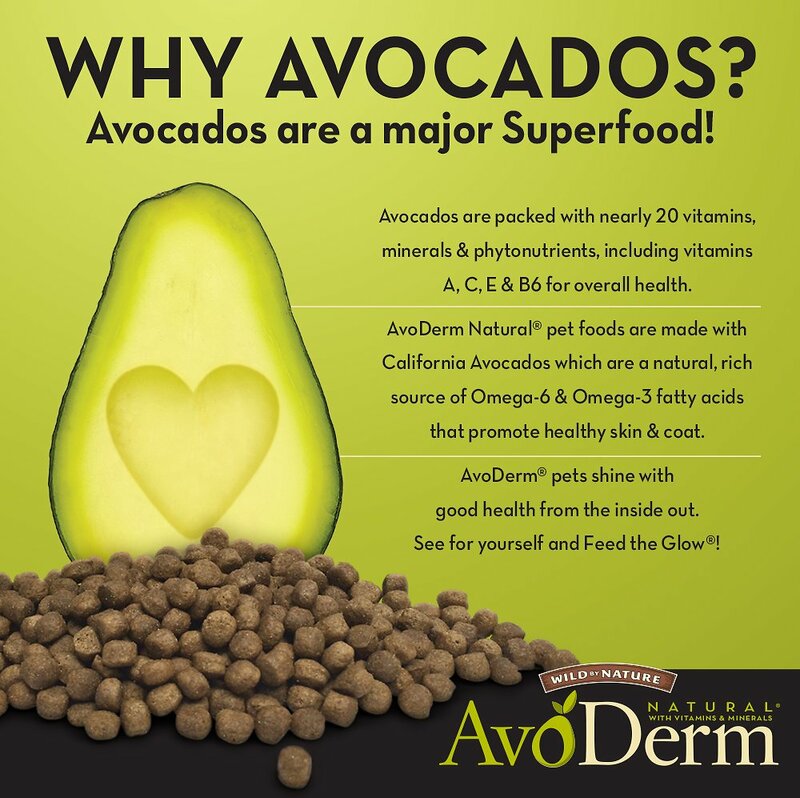 Then, it’s topped with plump prawns and boosted with the superfood goodness of California-grown avocados, so every bite is packed with vitamins, antioxidants, phytonutrients and omegas for a glowing skin and coat and overall well-being. 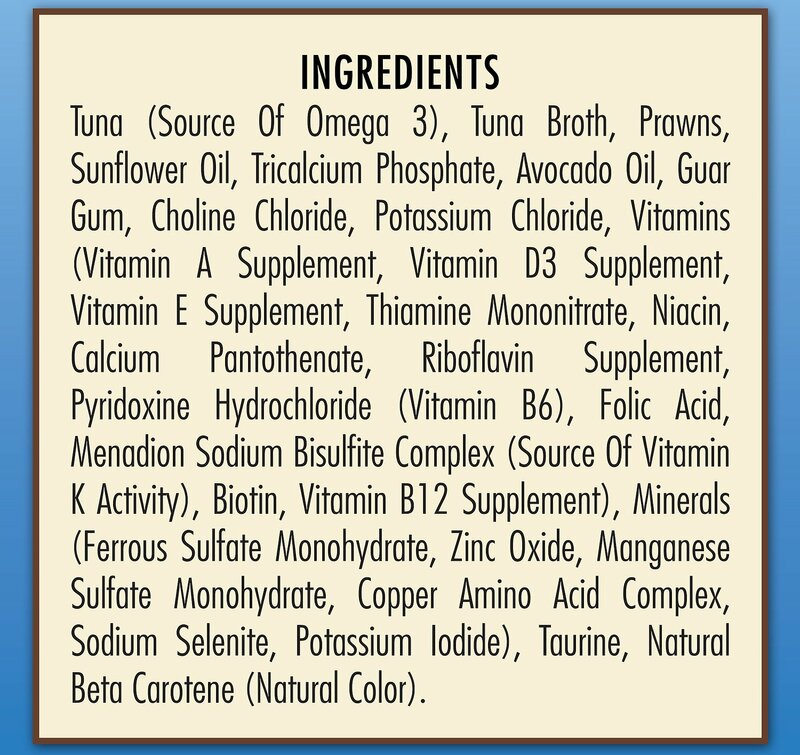 Plus, it’s a complete and balanced diet for cats of all ages in every can, and it’s drenched in a tongue-smacking consomme even picky eaters dive into, whiskers first! Tuna and tuna broth are the top ingredients, plus prawns for the animal-sourced protein your kitty thrives on. 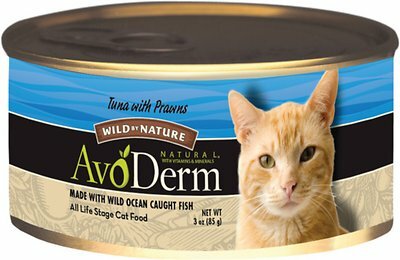 Made with real tuna broth for much-needed hydration to help support urinary and overall health, and zero grains so it’s great for cats with sensitivities. 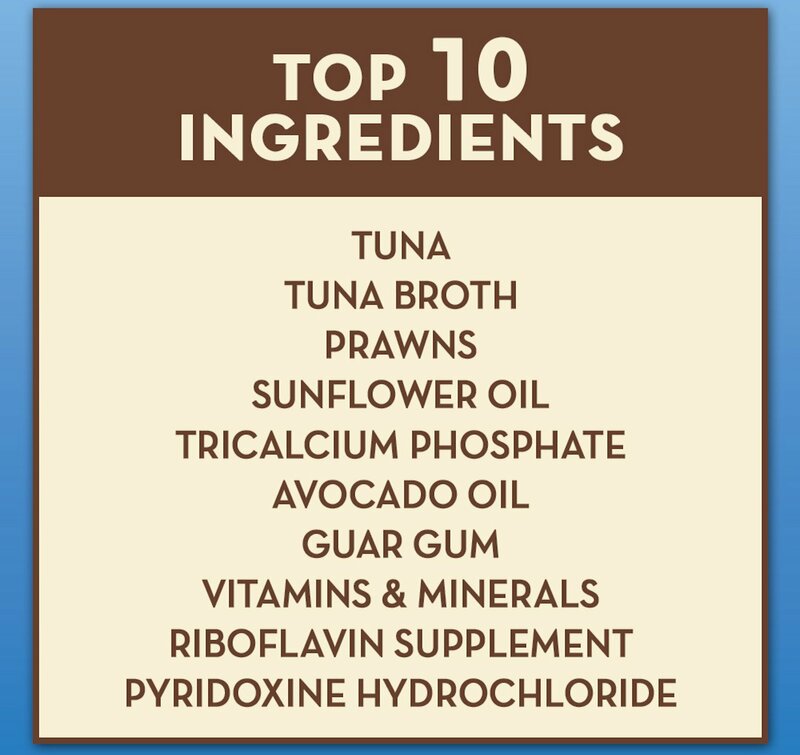 Tuna, Tuna Broth, Prawns, Sunflower Oil, Tricalcium Phosphate, Avocado Oil, Guar Gum, Vitamins & Minerals (Vitamin E Supplement, Zinc Oxide, Thiamine Mononitrate, Manganese Sulfate, Vitamin A Supplement, Menadione Sodium Bisulfate Complex (Source of Vitamin K Activity), Riboflavin Supplement, Pyridoxine Hydrochloride, Folic Acid, Vitamin D3 Supplement), Potassium Chloride, Choline Chloride, Taurine, Natural Beta Carotene (Natural Color). I wish this food had a little more liquid in it. I usually add a bit of water to make it soupier. Sometimes my boys eat it, sometimes they don’t. I have two 19 year old cats. They are sisters and they are very picky eaters. 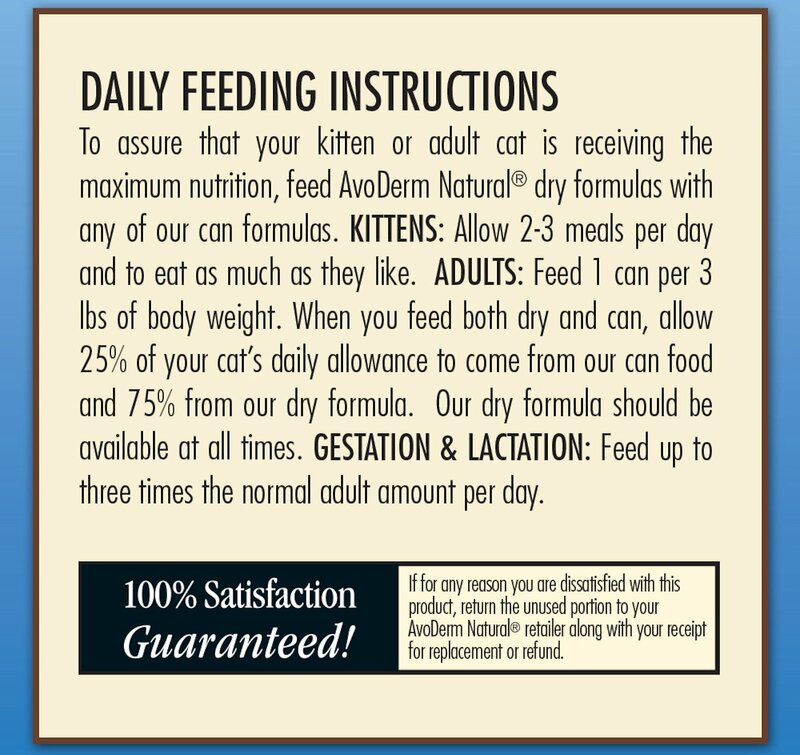 I am having a hard time finding any cat food that they like. I sum it up to their senior years. We tried this brand to switch things up a little for our two picky cats. They usually take a little while to warm up to anything new, but not this time. There wasn't a bit left in their bowls the very first time we introduced it. SVEN is allergic to almost everything but this he can eat and unlike others he can eat he LIKEs it and lucks his bowl! My two cats are AvoDerm loyalists. For 5 years the 'Wild by Nature Salmon in Salmon Consommé" has been a staple of their diet. 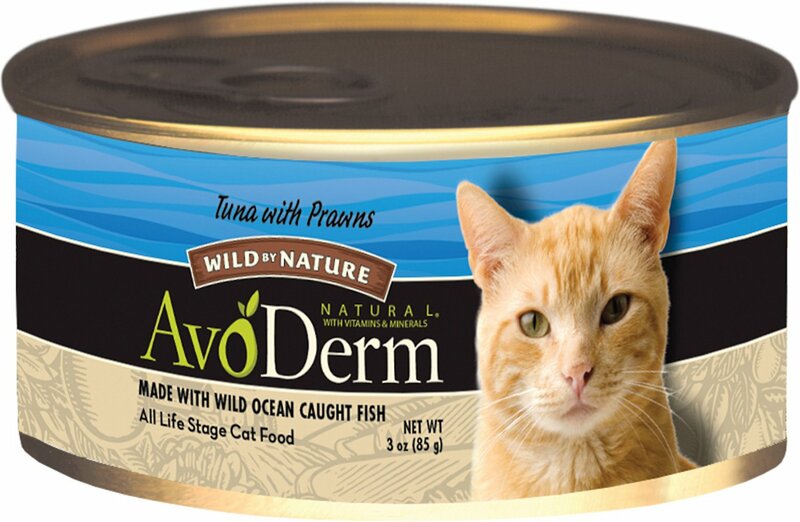 I'm very happy they've agreed to extend their range to the Tuna & a Prawns product. It's apparently delicious: bowls are licked clean (!). Filling too, as they ask for fewer seconds than they do with salmon. Boycat and Girlcat clean their plates! What else to say? This is one of the few canned foods that both of my boys will eat. It is really their favorite! 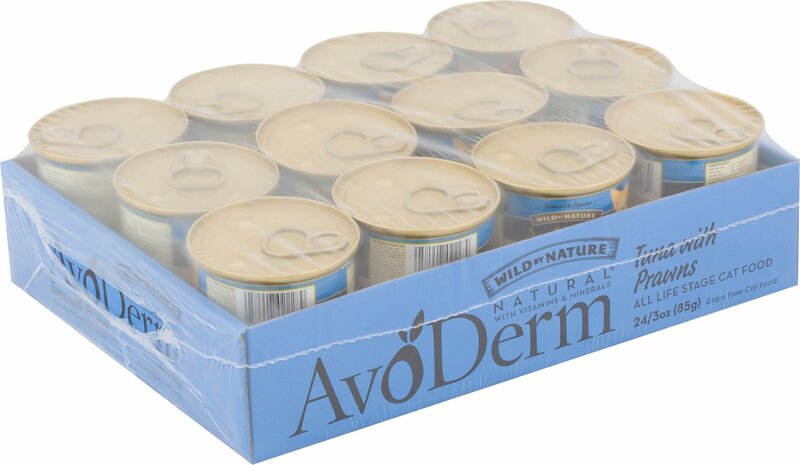 I was happy to find AvoDerm cat food again. 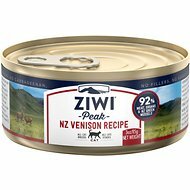 They make good quality food, and my cats love the Tuna with Prawns. I wish it was available in the larger can. 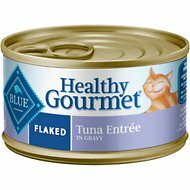 My cats seems to tolerate this taste.. still too early to tell, they're very finicky with no manners, spoiled by my wife.. but early indication is promising that they will eat this. Shipping was fast and simple to order. Thank you. I would recommend this company.